There is therefore now no condemnation to them which are in Christ Jesus… None ! Its opening word “Therefore” may be viewed in a twofold way. But not only is the “therefore” to be viewed as a conclusion drawn from the whole of the previous discussion, it is also to be considered as having a close relation to what immediately precedes. In the second half of Romans 7 the apostle had described the painful and ceaseless conflict which is waged between the antagonistic natures in the one who has been born again, illustrating this by a reference to his own personal experiences as a Christian. 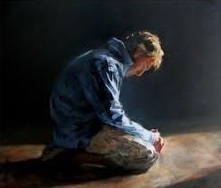 Having portrayed with a master pen (himself sitting for the picture) the spiritual struggles of the child of God, the apostle now proceeds to direct attention to the Divine consolation for a condition so distressing and humiliating. The transition from the despondent tone of the seventh chapter to the triumphant language of the eighth appears startling and abrupt, yet is quite logical and natural. If it is true that to the saints of God belongs the conflict of sin and death, under whose effect they mourn, equally true is it that their deliverance from the curse and the corresponding condemnation is a victory in which they rejoice. A very striking contrast is thus pointed. In the second half of Romans 7 the apostle treats the power of sin, which operates in believers as long as they are in the world; in the opening verses of chapter eight, he speaks of the guilt of sin from which they are completely delivered the moment they are united to the Savior by faith. Hence in 7:24 the apostle asks “Who shall deliver me” from the power of sin, but in 8:2 he says, “hath made me free,” i.e. hath delivered me, from the guilt of sin. “There is therefore now no condemnation.” It is not here a question of our heart condemning us (as in 1 John 3:21), nor of us finding nothing within which is worthy of condemnation; instead, it is the far more blessed fact that God condemns not the one who has trusted in Christ to the saving of his soul. We need to distinguish sharply between subjective and objective truth; between that which is judicial and that which is experimental; otherwise, we shall fail to draw form such Scriptures as the one now before us the comfort and peace they are designed to convey. There is no condemnation to them who are in Christ Jesus. “In Christ” is the believer’s position before God, not his condition in the flesh. “In Adam” I was condemned ( Romans 5:12); but “in Christ” is to be forever freed from all condemnation. “There is therefore now no condemnation.” The qualifying “now” implies there was a time when Christians, before they believed, were under condemnation. This was before they died with Christ, died judicially ( Galatians 2:20) to the penalty of God’s righteous law. This “now,” then, distinguishes between two states or conditions. 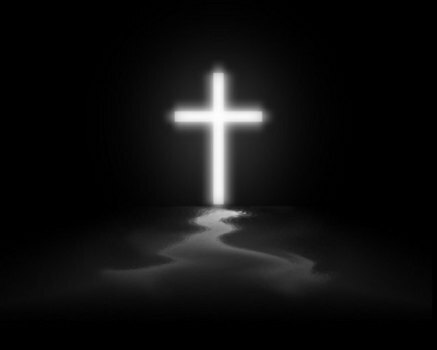 By nature we were “under the (sentence of) law,” but now believers are “under grace” ( Romans 6:14). By nature we were “children of wrath” ( Ephesians 2:2), but now we are “accepted in the Beloved” ( Ephesians 1:6). Under the first covenant we were “in Adam” ( 1 Corinthians 15:22), but now we are “in Christ” ( Romans 8:1). As believers in Christ we have everlasting life, and because of this we “shall not come into condemnation.” Condemnation is a word of tremendous import, and the better we understand it the more shall we appreciate the wondrous grace that has delivered us from its power. In the halls of a human court this is a term which falls with fearful knell upon the ear of the convicted criminal and fills the spectators with sadness and horror. But in the court of Divine Justice it is vested with a meaning and content infinitely more solemn and awe inspiring. Has guilt been been completely removed from the sinner who believes? Let the Scriptures answer: “As far as the east is from the west so far hath he removed our transgressions from us” Psalm 103:12. “I, even I, am he that blotteth out thy transgressions” Isaiah 43:25. “Thou hast cast all my sins behind thy back” Isaiah 38:17. “Their sins and iniquities will I remember no more” Hebrews 10:17. “The believer is in Christ as Noah was enclosed within the ark, with the heavens darkening above him, and the waters heaving beneath him, yet not a drop of the flood penetrating his vessel, not a blast of the storm disturbing the serenity of his spirit. The believer is in Christ as Jacob was in the garment of the elder brother when Isaac kissed and blessed him. He is in Christ as the poor homicide was within the city of refuge when pursued by the avenger of blood, but who could not overtake and slay him” –Dr. Winslow, 1857. And because he is “in Christ” there is, therefore, no condemnation for him. condemnation, Pink, Salvation, There is therefore now no condemnation to them which are in Christ Jesus... None !